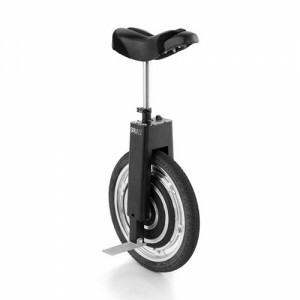 SBU V3 | Production Update (12-20-12) | Self-Balancing Unicycle | Focus Designs, Inc.
As you know from keeping up on the blog, although it is a bit behind — we have been experiencing delays with our production. Mainly in the area of gathering all the necessary parts to build our SBU V3 from our suppliers. With the huge demand from our latest appearance via “Shark Tank”, we gained much more attention than planned for, but absolutely deserved. With that said, as of now, I have been informed that we have all the necessary parts to assemble our large production order. Depending on when you ordered, will determine when you receive your SBU V3. I anticipate another couple weeks before your product is assembled, tested and shipped out. I would like to remind you that we advertise a 3-6 week lead time from the date of your purchase to the date of shipment. This has been exceeded for some, but of course with no intentions of this occurring. I want to assure you that we are working around the clock, literally — to produce one of the most innovative product on the E-Bike market. If I seem inattentive at times, I do sincerely apologize for that. We are a small company and [again] are working hard to complete your order. There is nothing more that we desire than to ship your SBU V3, and see you hitting the streets! Thanks again for your patience, and understanding. You will be updated very soon as more units are made, and shipped.